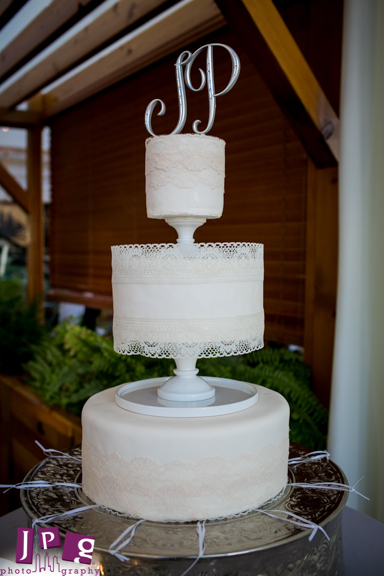 We loved the look, vibe, and detail of this wedding. The atrium was finely draped to define the ceremony and reception areas. 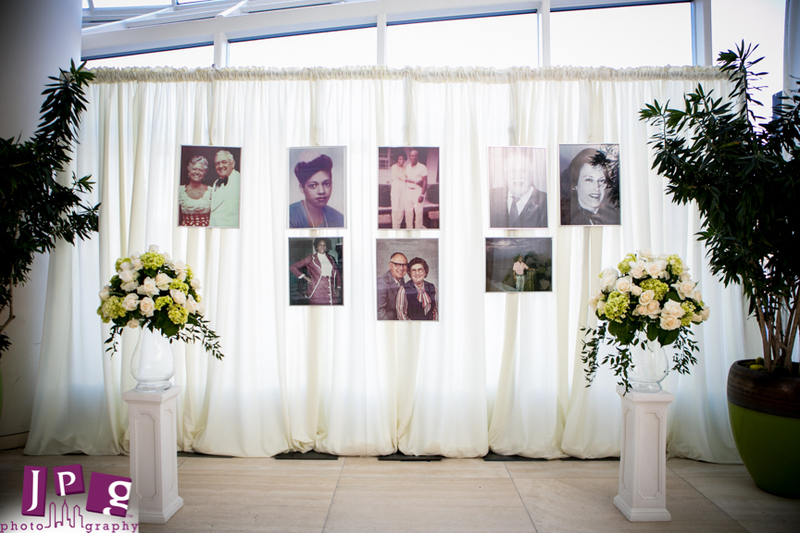 The bride & groom provided large framed family photos which were hung from the draping behind the altar. The bride also purchased the pedestals and glass urns for her altar arrangements. The bride processed to a live band performing the romantic and sultry India Aire song “Ready for Love”.